At Eleanor Home, we are committed to delivering the best lighting possible. In order to achieve our high standards we keep our production process as close to home as possible and have built a relationship based on trust and friendship with our suppliers. The manufacturing, painting and assembly of our lamps are done by hand in Denmark to ensure high quality and a flexible and fast service. All lamps are delivered with weather-resistant coating, porcelain bulb sockets, high-quality textile wires for indoor lamps and weather-proof silicone wires for outdoor lamps. They are CE-certified and all outdoor lamps are also IPx3 certified, in line with European industry standards. Today, we are proud that 95% of all parts used in our lamps are produced in Denmark. We source from within the EU when we cannot find what we need on the Danish market. This local focus not only allows us to keep a tight control of our quality and flexibility in our production, it also reduces our carbon footprint considerably. 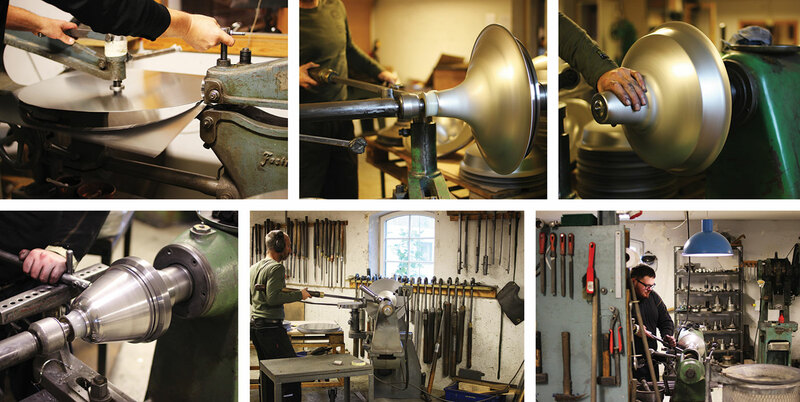 Our lamps are made by highly skilled, local craftsmen, who are all located within a few hours reach from our headquarters in Charlottenlund, in the outskirts of Copenhagen. 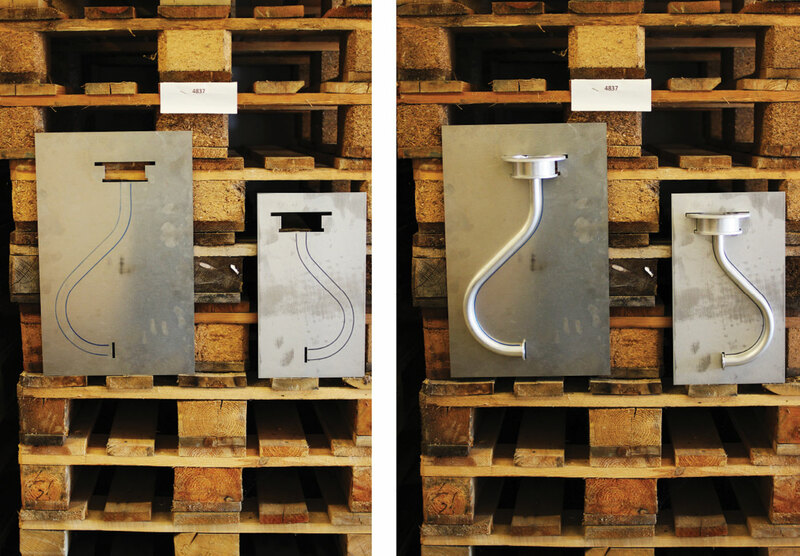 They are then assembled, packaged and shipped from our manufacturing facility and warehouse in the north of Denmark. Our meticulous processes enable us to boast that we have close to no returns due to malfunctioning products or damage during transportation. Our lamps are made of top quality aluminium, an excellent choice of material for a lightweight yet strong and durable product. They are worked into their shape using traditional techniques and craftsmanship. Each component then undergoes rigorous checks to ensure the highest possible standards. A thorough quality check of each and every product is done by our expert staff after every step of the manufacturing process – from the forming and welding of the lamps to the painting. Since our products are handmade there will always be small variations, but the high standards that we have set ensure that only perfect products make it through our rigorous controls. 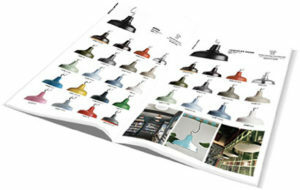 Each lamp is cleaned and spray painted by hand with weather-resistant paint, using our wide range of striking matt colours in 20 unique, standard shades. We are even able to provide custom colours upon request. Read more about this service here. Our lamps are quality checked once again at our manufacturing site and warehouse and carefully assembled by our trusted staff. 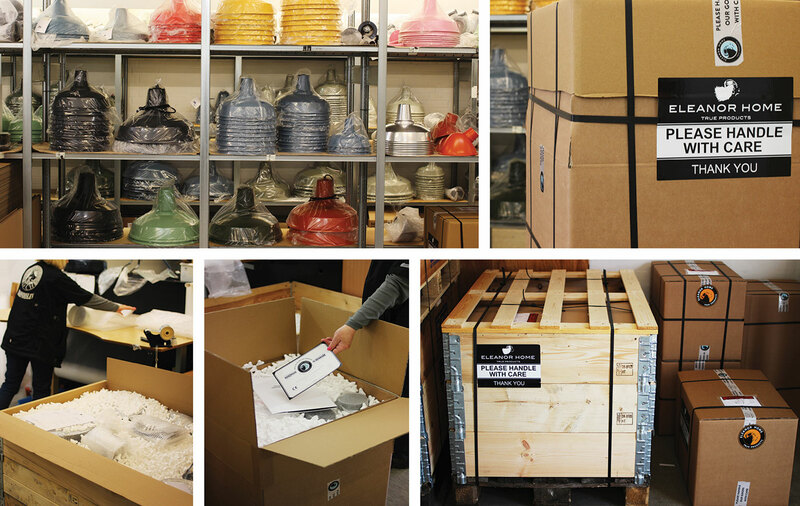 Once an order has been placed the lamps are carefully packaged to avoid any damage to the products. For large orders we use extra strong wooden boxes and foam filling for added security. This enables us to deliver our products safely and swiftly to our clients across the globe.